After much anticipation and encouragement from fellow musicians and fans alike, two of Scotland’s foremost musicians joined forces in 2016 to form one of the most formidable duos in recent Scottish music history. Following on from the success of their debut album ‘Symbiosis’, Ross Ainslie and Ali Hutton released their second album ‘Symbiosis II’ in Spring 2018 to huge critical acclaim. 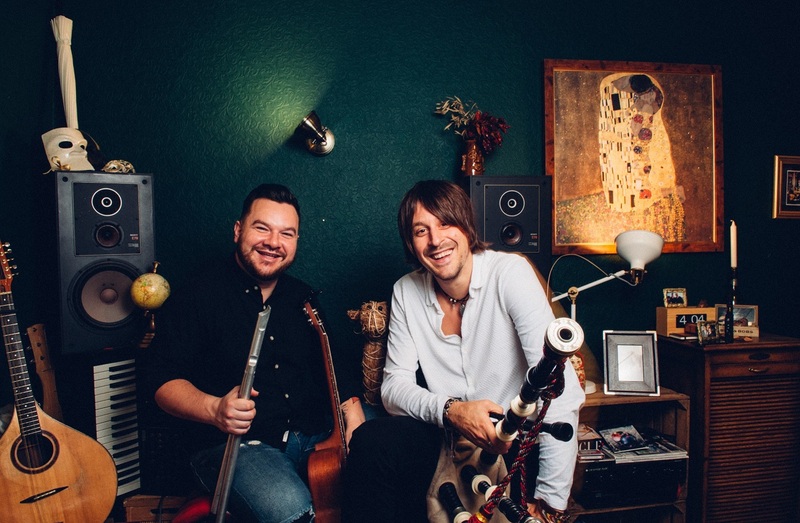 Winners of the best duo category at the BBC Radio 2 Folk Awards in 2017 and nominees for the same award in 2018, Ross and Ali have been working hard to create a repertoire full of new and original material. Ross and Ali have a long history of mutual musical roots, both being founding members of the award-winning powerhouse Treacherous Orchestra. The duo also started their musical careers with the Vale of Atholl Pipe Band at a very young age and are both protégées of the late great Gordon Duncan, whose influence is evident Throughout their musical collaborations–arguably some of which have now surpassed that which even he could have seen in them. Gordon instilled a great passion in them for playing pipes with other instruments and they have gone on to play in many leading Scottish bands including Old Blind Dogs, Salsa Celtica, Dougie Maclean, Shooglenifty and Capercaillie. Ross and Ali’s live performances deliver music with an energy and passion that can only come with a shared and rich musical history – the music they create is both exciting and beguiling with an undeniable synergy that can only be forged from a lifetime of friendship. Ross Ainslie is one of Scotland’s finest traditional musicians and composers, playing pipes, whistles and cittern. He is renowned for his highly acclaimed solo material, and as a skilled performer and prolific collaborator. Ali Hutton is a hugely successful multi-instrumentalist on the Scottish music scene, having performed and worked alongside some of the most respected musicians and bands on the scene today.